The company has moved its Research projects and AI efforts from Google Research to Google AI. The company is renaming its blog, affiliated Twitter and Google+ channels to Google AI as well. Google will be hosting its annual I/O developers conference at 10 AM PT (10:30 PM IST) today. 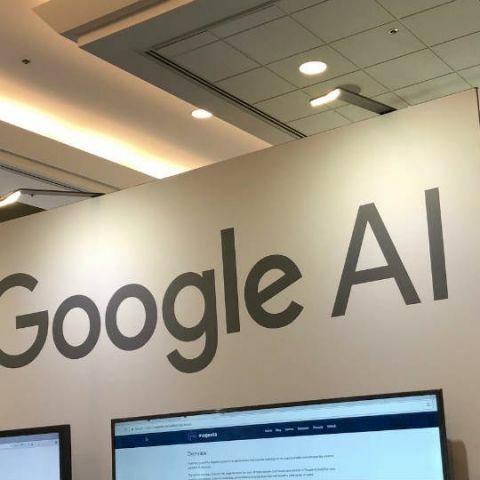 Hours ahead of the event, the company has announced that its Google Research division is now rebranded as Google AI, highlighting the company’s focus on AI. All of Google’s previous Research projects and Artificial Intelligence efforts have also been moved to the new domain. The company’s AI Communications Editor-in-Chief, Christian Howard says that from past several years the company has been researching machine learning techniques in nearly everything it does and is using in its products and platforms. The news comes after the company underwent restructuring last month. The company’s AI product development division was separated from Google’s search platform and the Googler Jeff Dean took charge of this new division. The new Google AI homepage also reflects the company’s head first approach towards AI. Recently published research topics are highlighted separately on the site, alongside publications on topics like health and astronomy. It should be noted that non-AI research will still be carried out under the new Google AI brand. Apart from Google, Microsoft also has AI on its agenda as it has announced a slew of AI-centric features and services at its Build 2018 developers conference. The company has announced Project Brainwave, which will allow users to make use of a chip system built by it for cheaper and faster AI query processing. Microsoft will also use its Kinect gaming sensor in an AI-sensor device called Project Kinect for Azure and it will help consumer using the company’s cloud services track motion and map the space around them. We are covering the Google I/O 2018 and you can read on what to expect at the event here. How to add Debit Card to Google Play Store?